Determined to protect the children of Teaville, Kansas, from the bullying she experienced as a child, Mercy McClain finds fulfillment working at the local orphanage and serving on the school board. When Aaron Firebrook, the worst of her childhood bullies, petitions the board for a teaching position, she's dead set against his getting the job. Will resentment and old wounds hold them back, or can Mercy and Aaron overcome the past in time to battle the threats against the future of the town's orphans? After growing up, we tend to put our past behind us, especially the unpleasant memories and hurts, or we at least try to do that. However, some wounds are hard to heal. Especially the ones that went on for years due to bullying. Once we've moved on from that and the people that caused us harm, things get better. Melissa Jagears though presented an interesting idea, what if the bully comes back when all the time has passed. How will the people he tormented react. I thought this was an interesting idea for a story and fresh. I know a lot of us have been picked on growing up for one thing or another, but those people are either out of our lives, or something happened and they are our friends now. But, what if the bully is relentless? In A Chance at Forever, we get to see both sides of the story through Aaron and Mercy. When introduced, Aaron just wants to teach school and help the kids at the Teaville school. We dive into Aaron's thoughts and we see who this character is now, thankfully, not as the bully he was, but we do see the damage that was left from his words and actions. Mercy is a woman who cares so much for the children in the area, that she helps with the orphanage of the town. She is on the school board and it is there, that her past seems to come back to haunt her, but not in the manner of Aaron, but of her thoughts of when she was a kid. As much as she wants to think that she has grown, the trauma of when she was kid lingers. Aaron is a changed man. We see that right off. He is a man who has found God and wanting to make it right for the people he hurt. He wants to be an influence to kids, like the teacher he had that helped him. His issue is, the ones he hurt are now adults and they have a lot more sway with the community. I really enjoyed this story and the premise behind it. It focuses on several important topics and how faith plays a part. It's not heavy handed and it really is a sweet story. Even though this is book three of a series, it works well as a standalone. 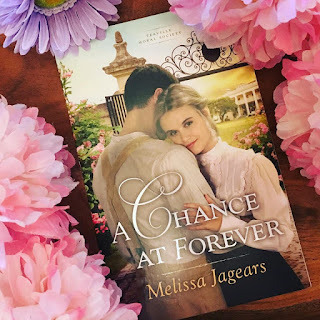 Carol Award-winning author Melissa Jagears is a homeschooling mom who writes Christian historical romance into the wee hours of the night. 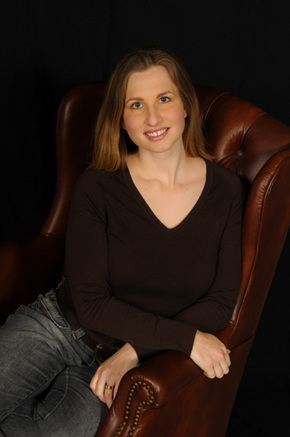 She's the author of the Unexpected Brides series, the Teaville Moral Society series, and Love by the Letter, a free prequel ebook novella. You can learn more about Melissa, her books, and where she hangs out online at www.melissajagears.com . I won a free copy of this book from the publisher on GoodReads. I was not required to post my thoughts. This is an honest review.